AQUA PATCH is a ready-to-use, permanent repair solution for asphalt and concrete applications. AQUA PATCH is water activated and uses a proprietary blend of organic additives that are environmentally friendly, safe and non-toxic. It produces no hydrocarbon leaching or evaporation, and can be used in all types of weather – cold, warm, wet or dry. Water/moisture in the repair area is not a problem. If fact, since AQUA PATCH is water activated, it actually helps accelerate the process. No tack coat is required, streamlining the repair process. AQUA PATCH is available in bulk quantities for the largest scale projects. Soon, bulk liquid will be available for manufacturing of AQUA PATCH in your area. AQUA PATCH also comes in bags for small repairs. Shelf life for bagged product is 6 months. Keep AQUA PATCH dry, and away from moisture during storage. The durable plastic bags are air tight. Use the product shortly after opening the bag. 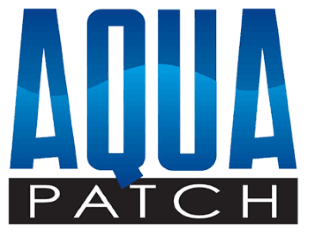 – AQUA PATCH helps customers save money over multiple years. AQUA PATCH lasts for more than 5 years! 2. Save Time! More Productivity! – AQUA PATCH eliminates repeat repairs; you can utilize the saved time for other pothole repairs. Save time and fill more potholes!